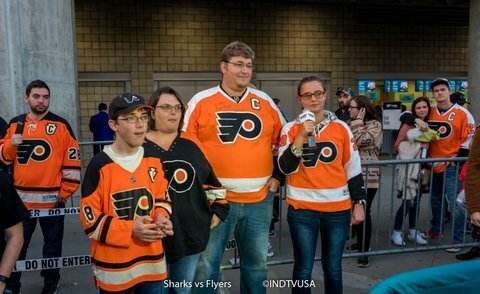 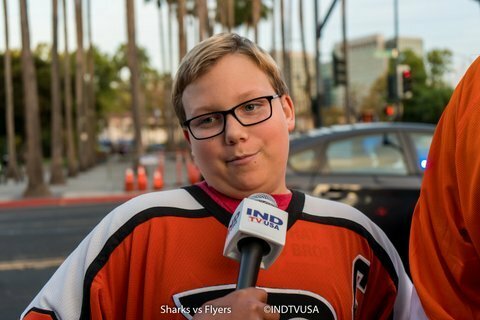 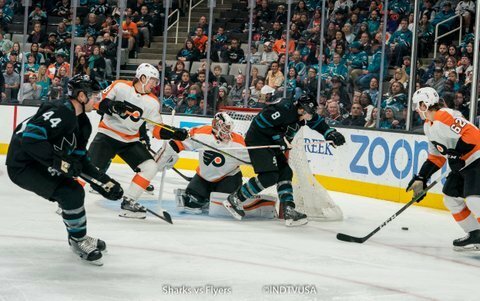 On the very first shift of the game, Philadelphia started with a three on two rush which led to a tic-tac-toe pass between the circle and ended with a shot from Nolan Patrick into the Sharks net. 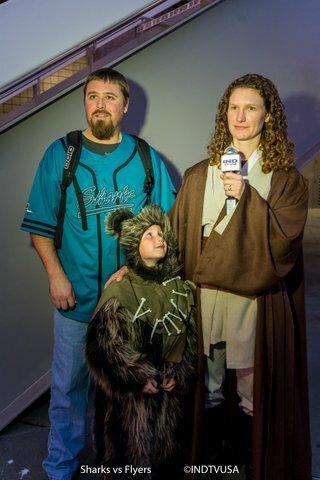 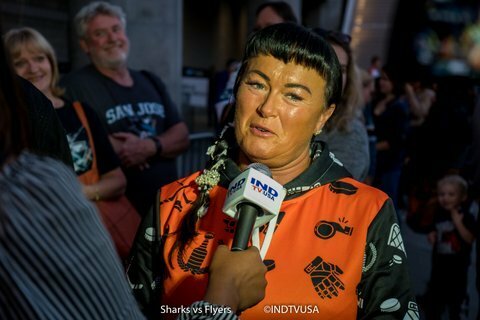 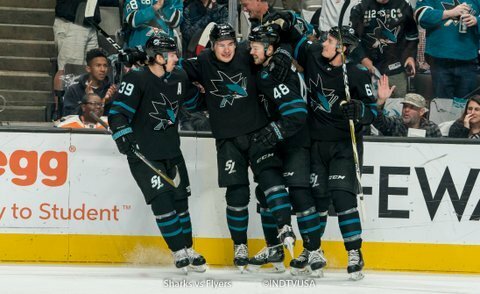 The Sharks regained their composer quickly. 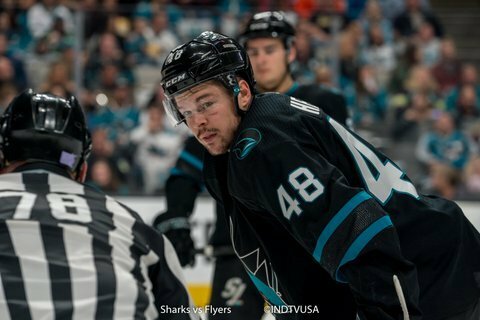 A couple of minutes later, Tomas Hertl made a pass from low on the right boards which Timo Meier redirected from the blue paint into the net and tied the game at 1. 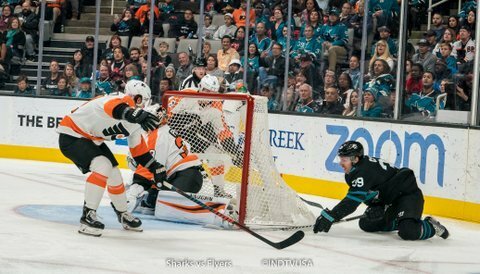 With just over three minutes left in the first period, a screened shot from Jordan Weal from the left circle, ended up in the Sharks net, giving the Flyers 2-1 lead. 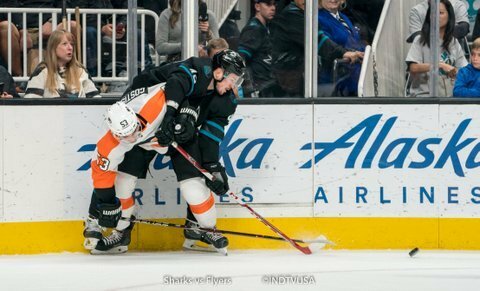 In the second period, San Jose got the break that they were looking for. 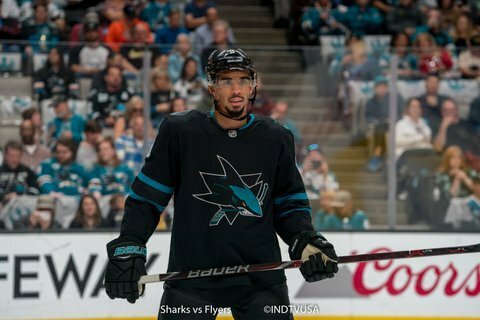 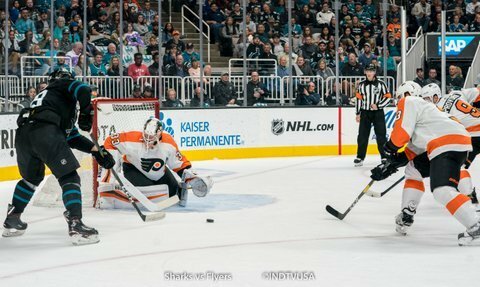 Halfway through the period, on a Sharks Power Play, Kevin Labanc made a hard pass from the left circle to Captain Joe Pavelski who was wide open to the right of the goalie. 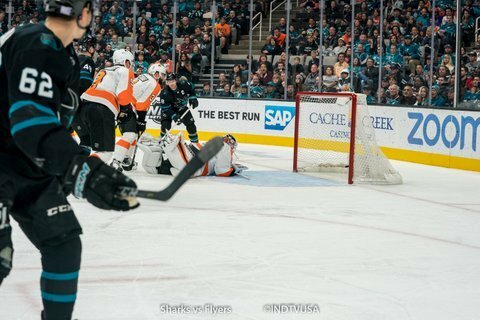 Captain settled the puck and shot it in the net (all in one stroke). 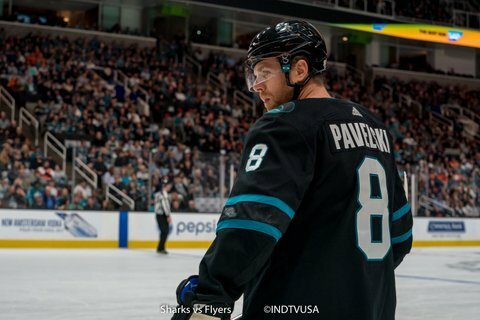 Game tied at 2. 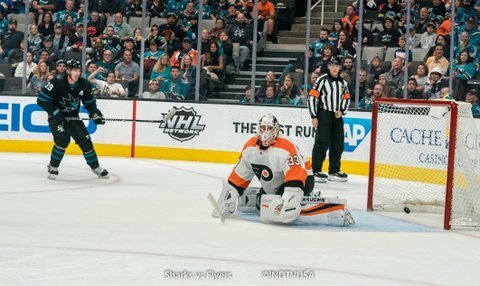 In the last 30 seconds of the the period, defensive breakdown in the Sharks zone lead to Jakub Voracek being wide open in front of the net and he beat Martin Jones on the glove side. 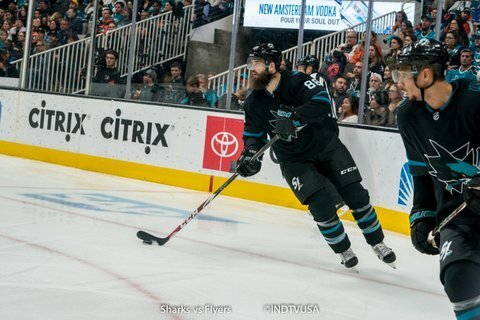 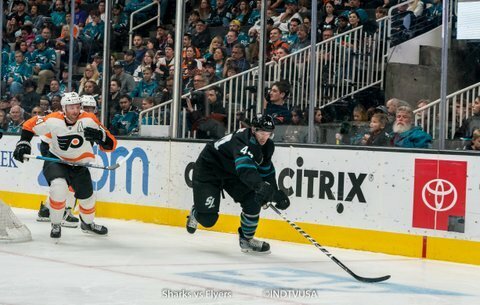 With just five minutes left in the third period, the Sharks broke out on rush with Labanc skating down the middle with the puck. 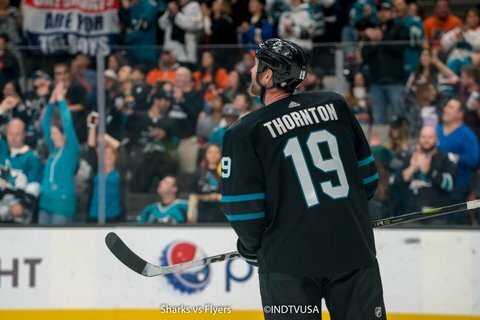 He passed it to Joe Thornton on top of the left circle. 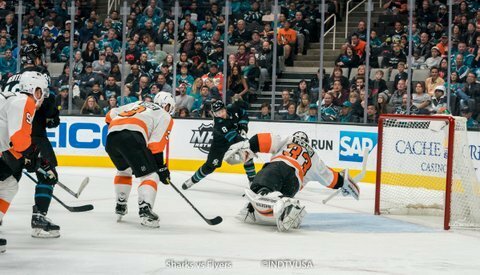 Jumbo took couple of steps and roofed a shot over the goalies glove hand to tie the game at three. 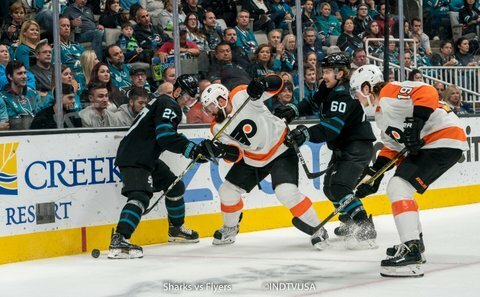 Just seconds into the overtime, Logan Couture lifted the stick of Philadelphia defenseman and sped down the left boards. 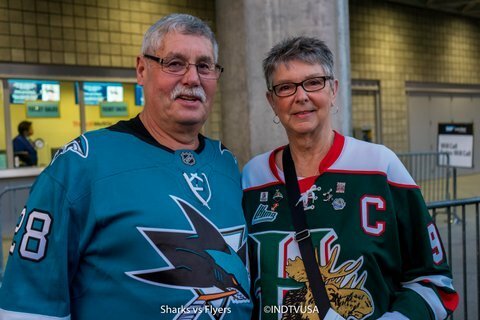 He passed it to Timo Meier in the slot and Meier shot a one-timer on the short side into the net. 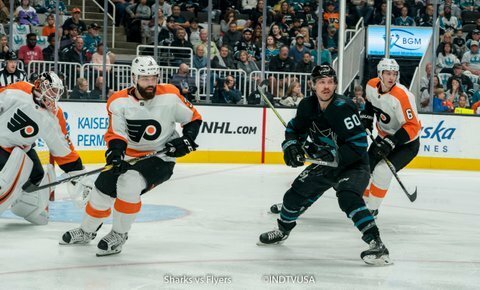 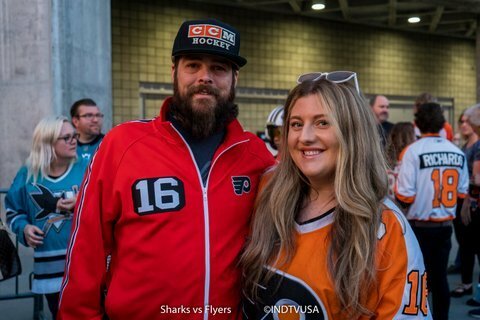 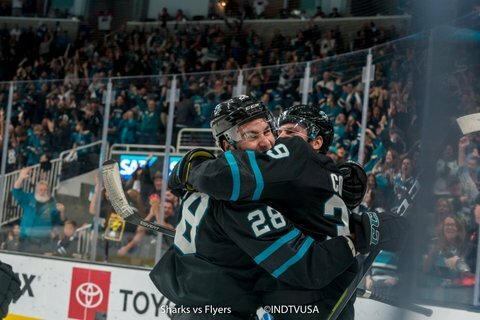 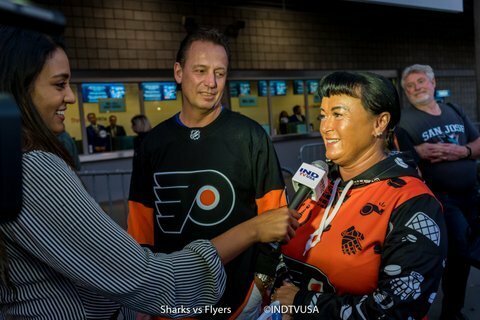 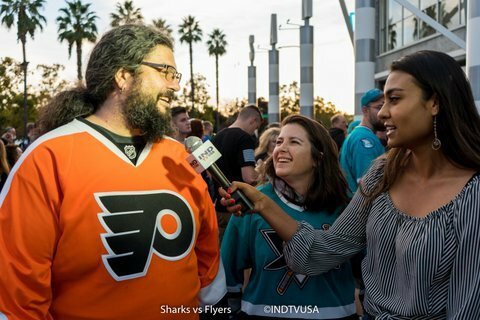 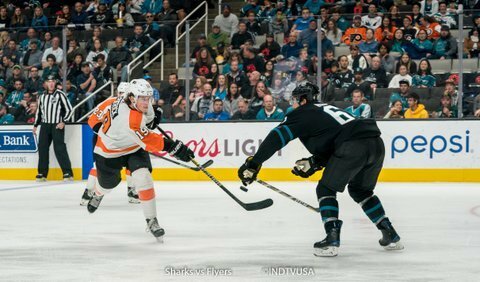 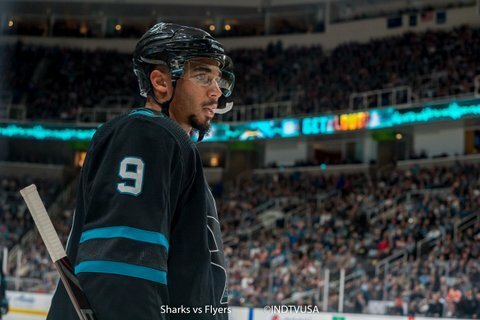 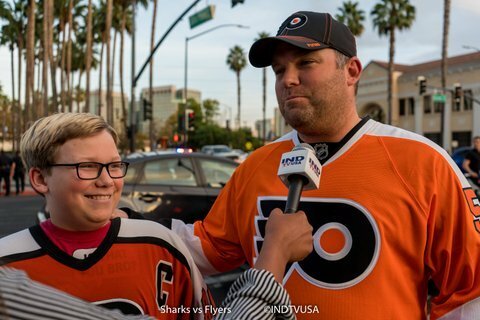 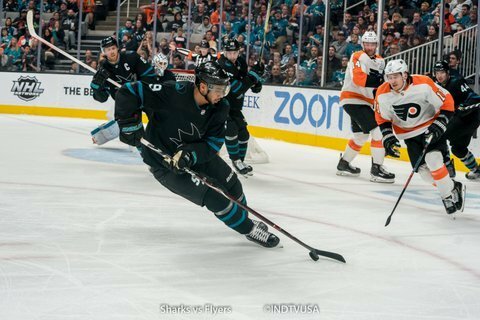 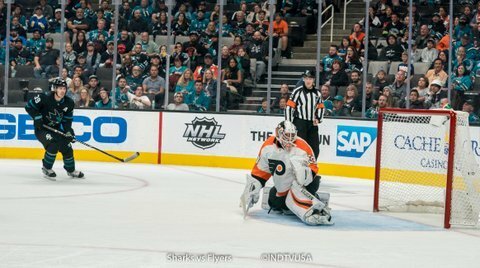 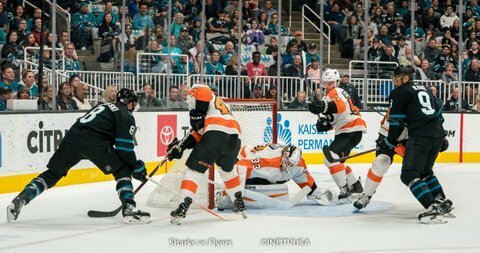 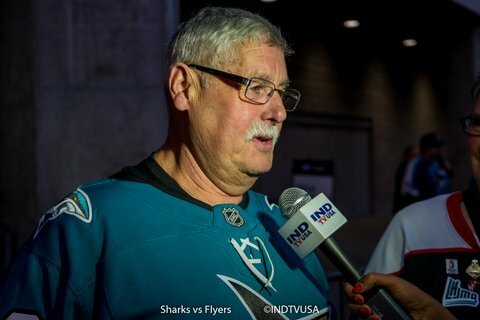 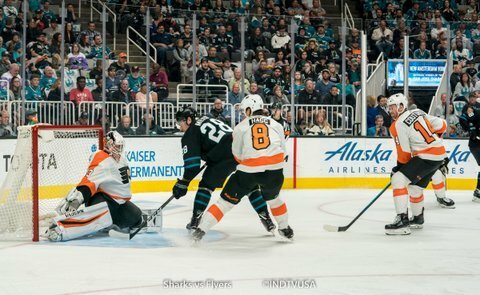 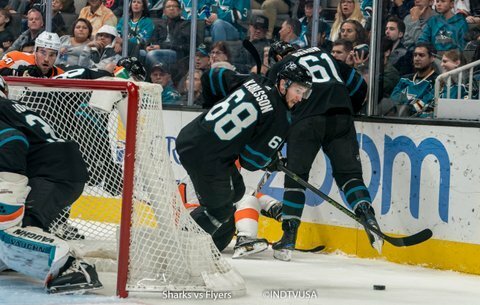 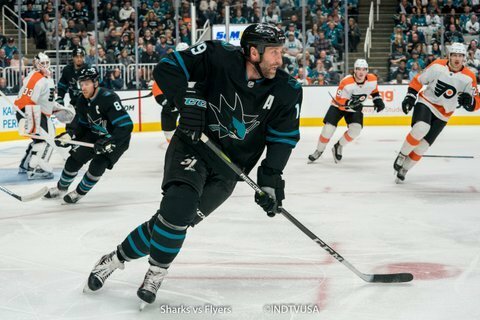 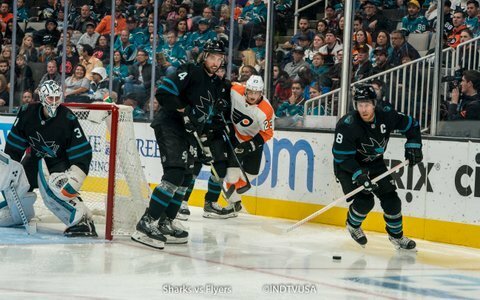 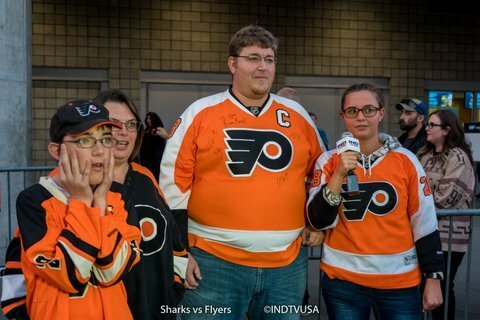 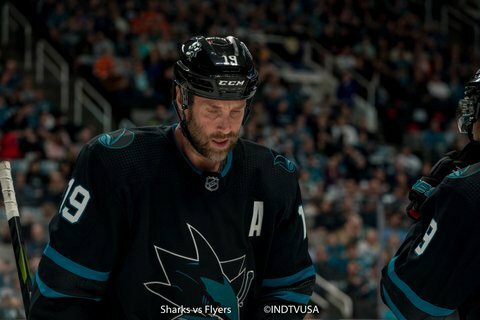 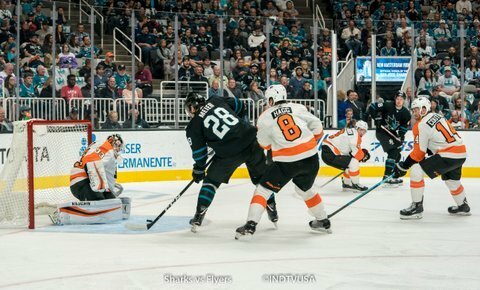 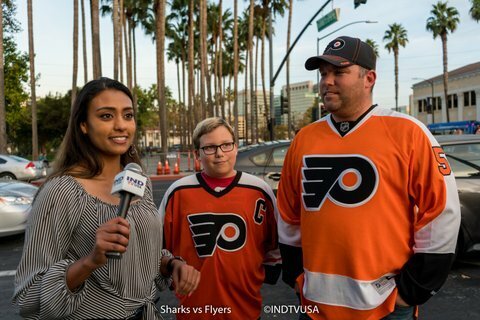 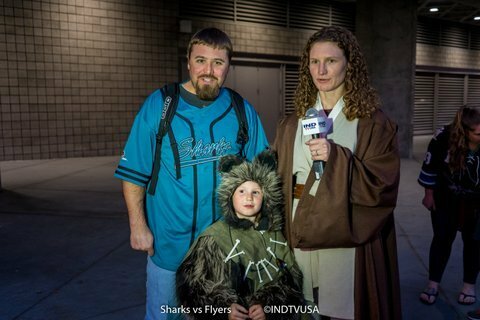 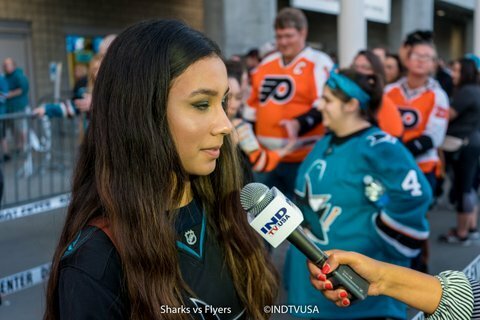 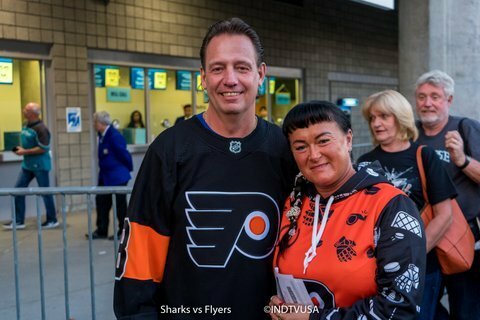 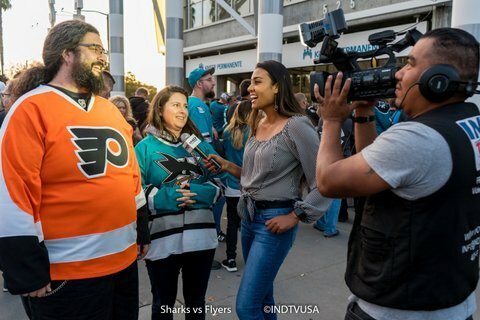 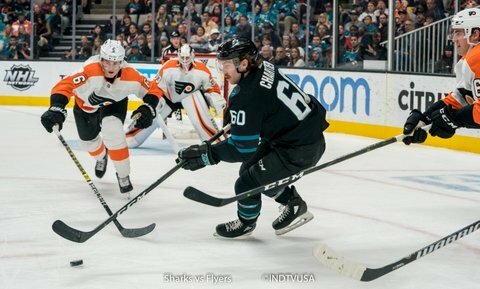 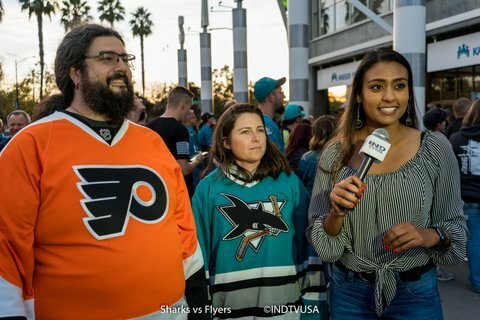 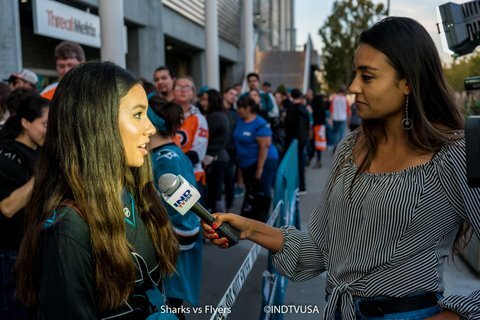 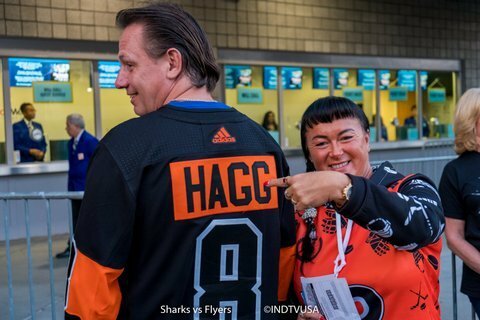 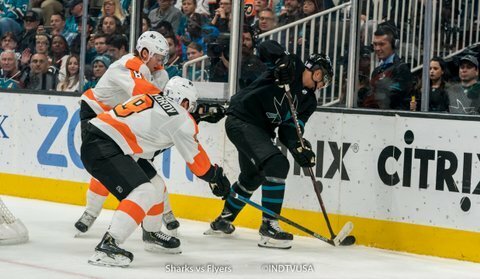 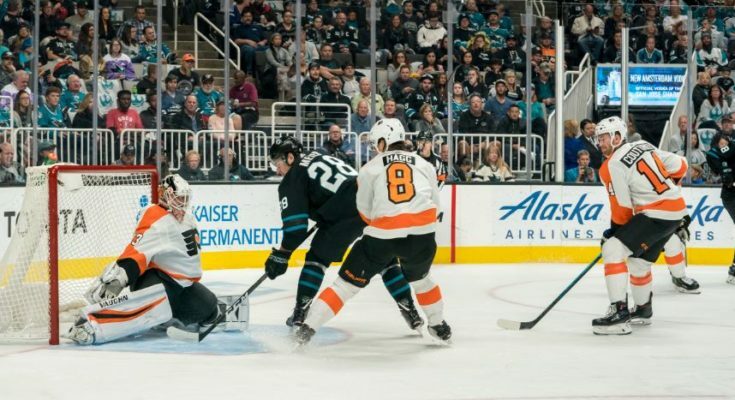 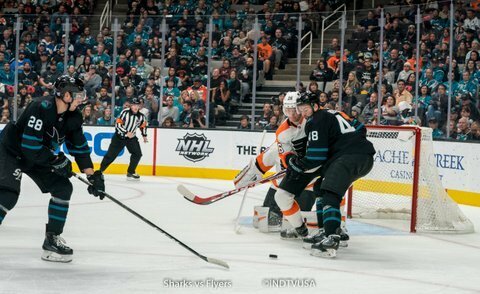 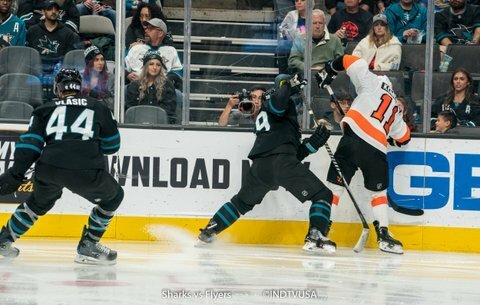 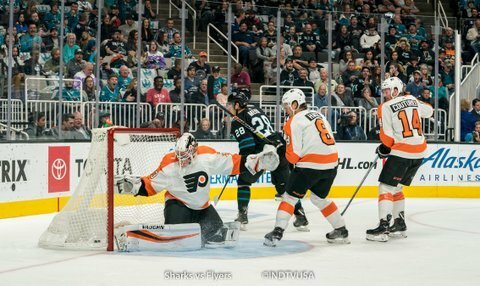 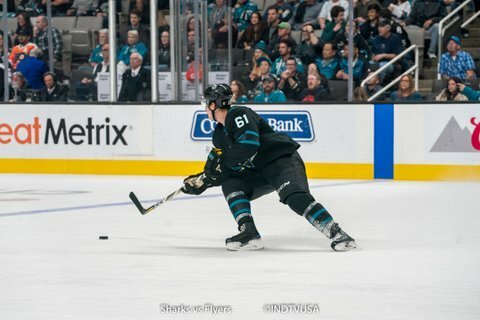 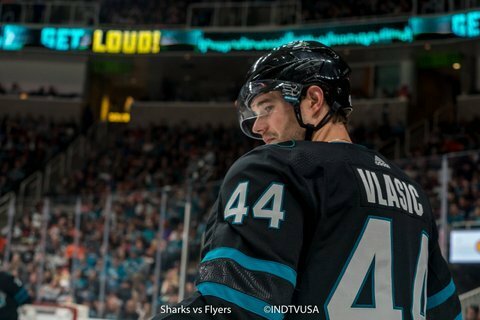 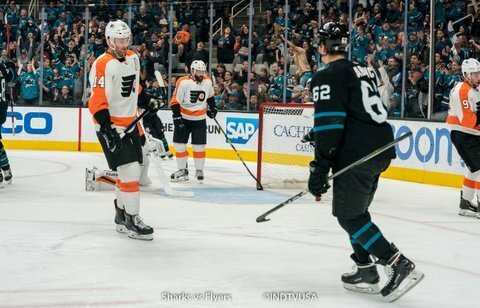 Tonight the Sharks led in shots (35-25), face-offs (51%-49%), takeaways (13-7) and giveaways (9-8) while the Flyers led in hits (28-13) and blocked shots (16-6). 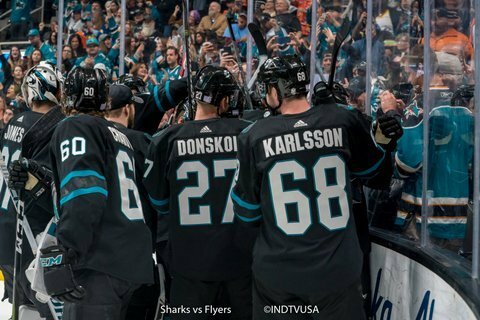 Sharks are off for few days. 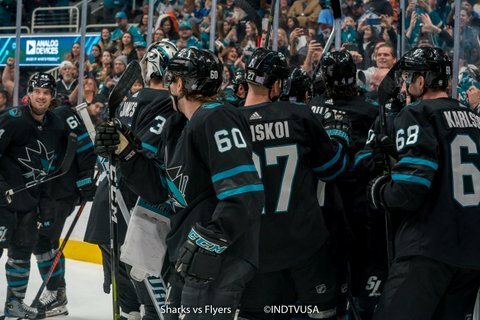 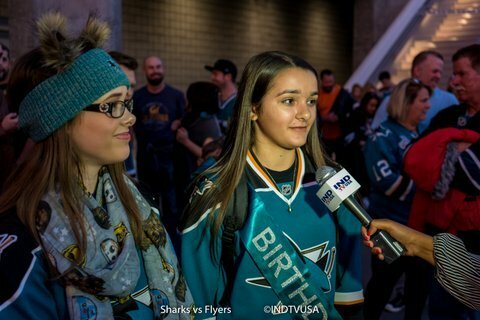 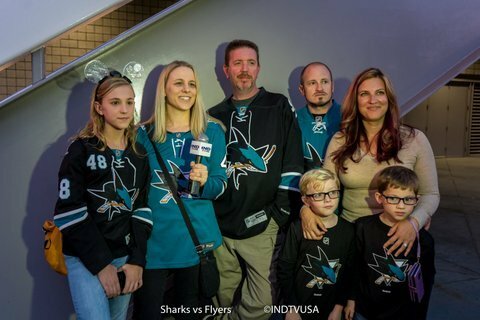 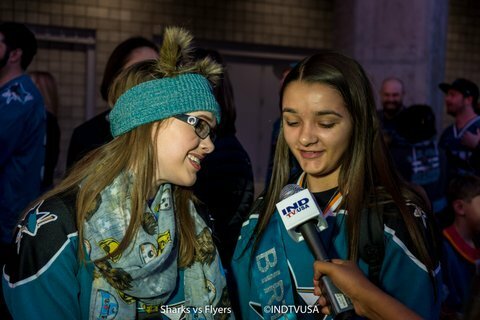 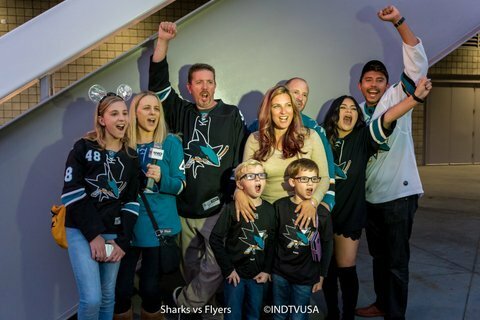 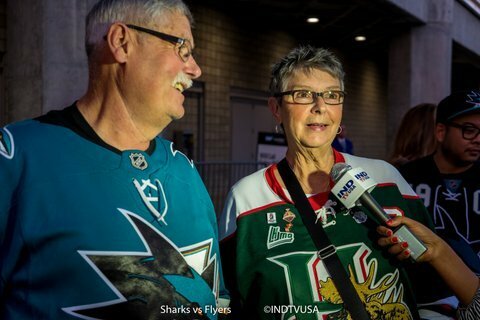 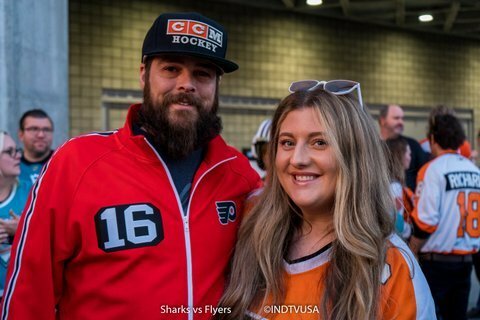 Next home game is on Tuesday 11/6/18 against Minnesota Wild.